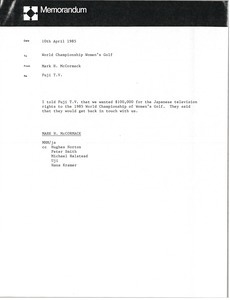 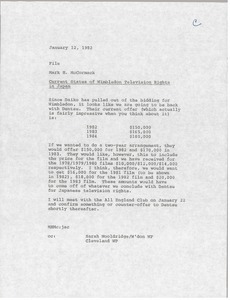 Japan - McCormack notes that he told Fuji Television a price for the Japanese television rights to the 1985 World Championship of Women's Golf. 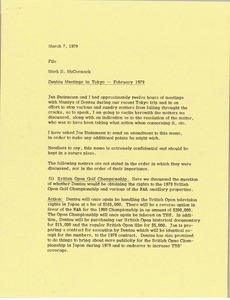 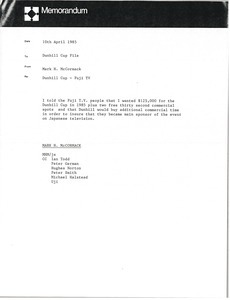 Japan - McCormack notes that he told Fuji Television a price for the Japanese television rights to the 1985 Dunhill Cup. 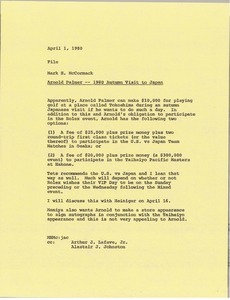 Japan - Concerning Dentsu and the current status of Wimbledon television rights in Japan.